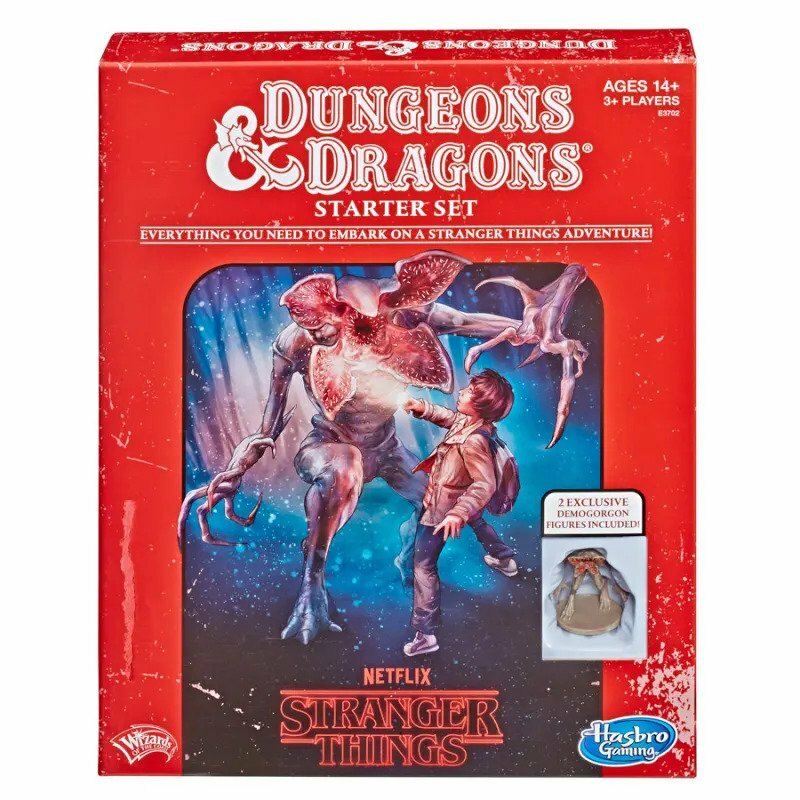 In a very meta nod to the sublime Netflix series Stranger Things and its 1980s nostalgia, Hasbro is releasing a Stranger Things Dungeons and Dragons Starter Kit that will incorporate the adventure that Mike Wheeler started in the first episode of the series. 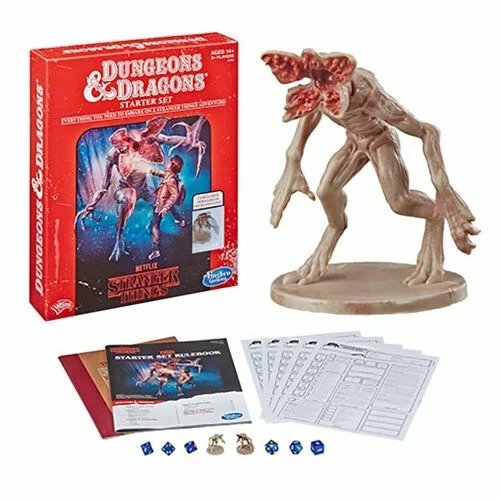 The kit includes includes two Demogorgon figures (painted and unpainted) and character sheets so you can play as your favorite character from the show. The stranger things Dungeons & dragons starter set contains everything players need to embark on a stranger things adventure including the essential rules of the roleplaying game. …Pick your character — will you be Will the wise or Dustin the dwarf? Get your fireballs ready as you investigate the mysterious castle and battle The ferocious Demogorgon. Prepare for just about anything, because the game just Got stranger.